Details: A top quality Stainless Steel slip on exhaust pipe. Better power, better sound. These pipes are made for various bikes and models. There are some different designs within the Stainless Steel range. 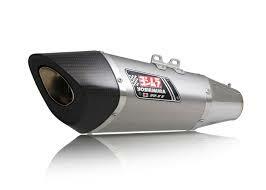 Leo Vince is used in World Superbikes, and is great quality at a reasonable price. Call for a quotation for your bike. Full systems can be ordered on request for certain models.